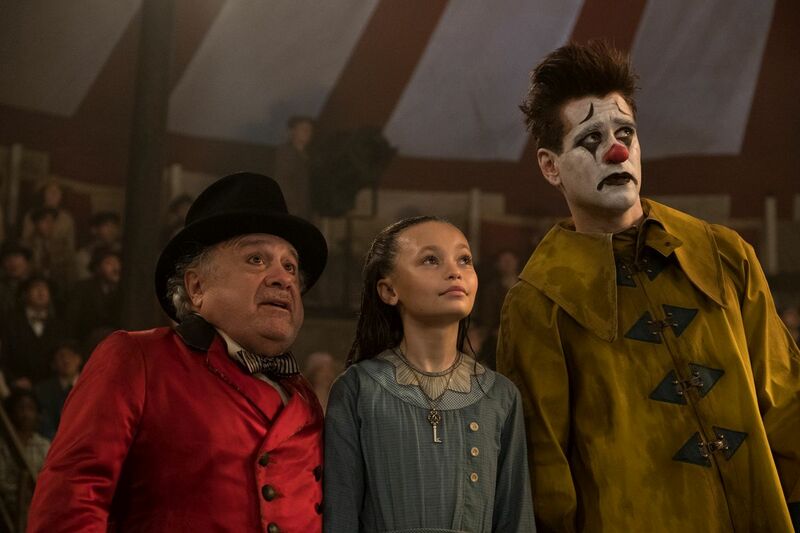 CLOWNING AROUND -- In Tim Burton’s all-new, live-action reimagining of “Dumbo,” circus owner Max Medici (Danny DeVito) calls on former circus star Holt Farrier (Colin Farrell) to care for a newborn elephant whose oversized ears make him a laughingstock in an already struggling circus. 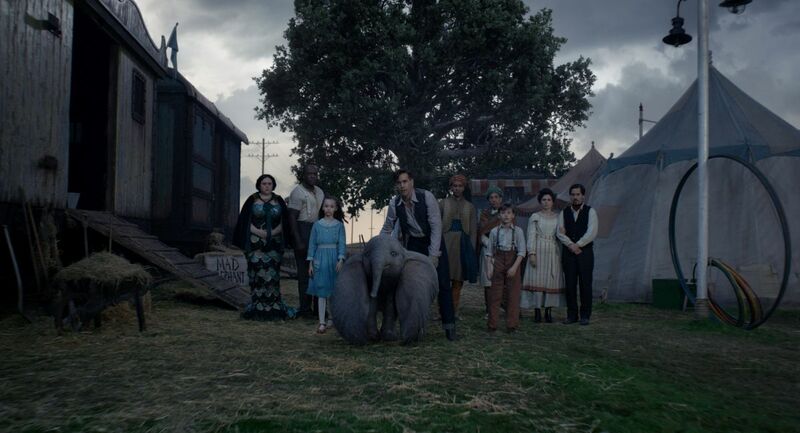 Holt ultimately takes his task very seriously—even donning a clown suit to help the flying elephant as he emerges as a star. 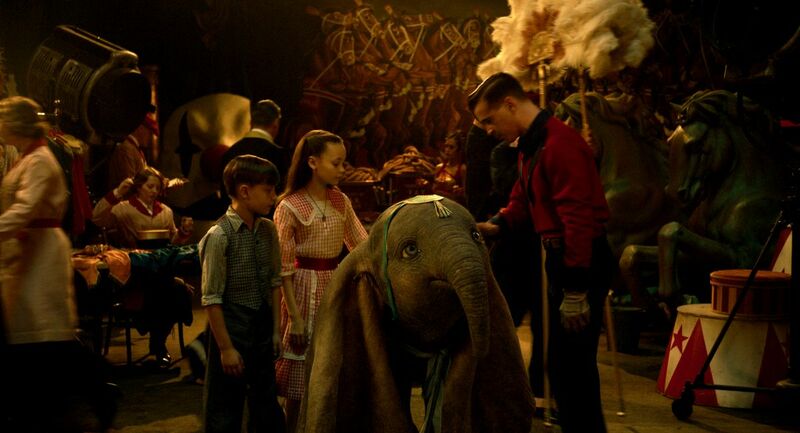 Daughter Milly (Nico Parker) just might be Dumbo’s biggest fan. 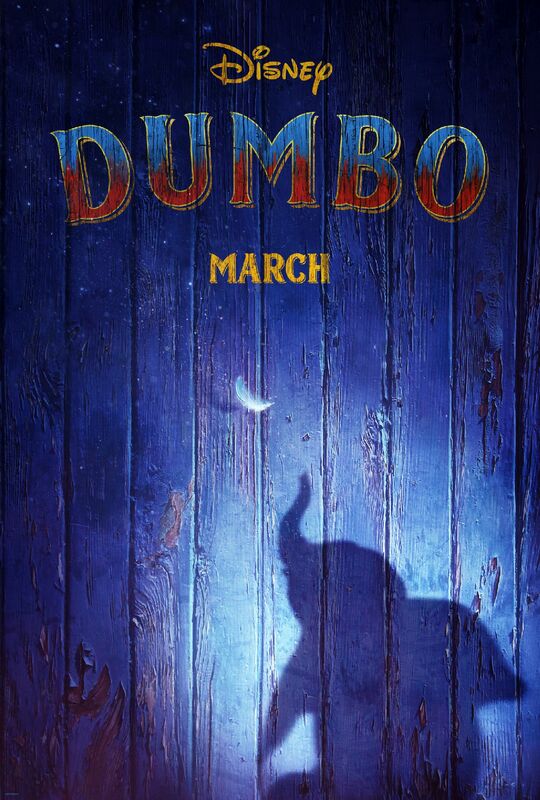 “Dumbo” flies into theaters on March 29, 2019. 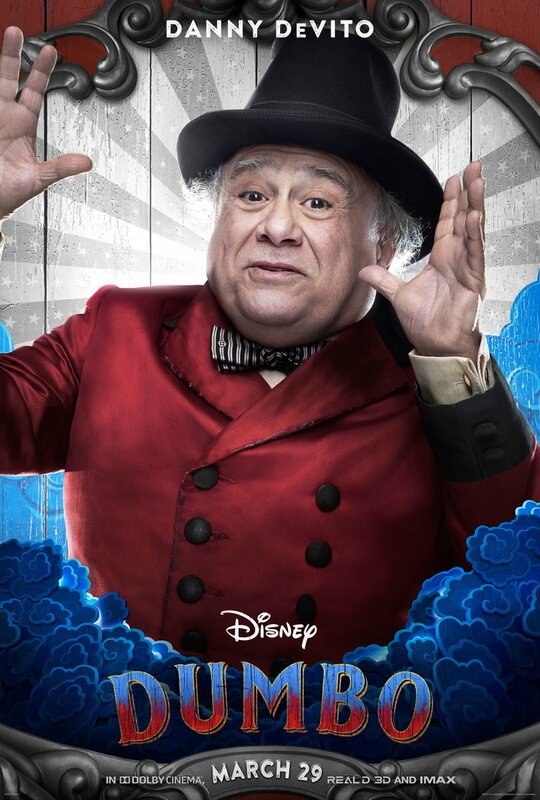 Photo by Jay Maidment. 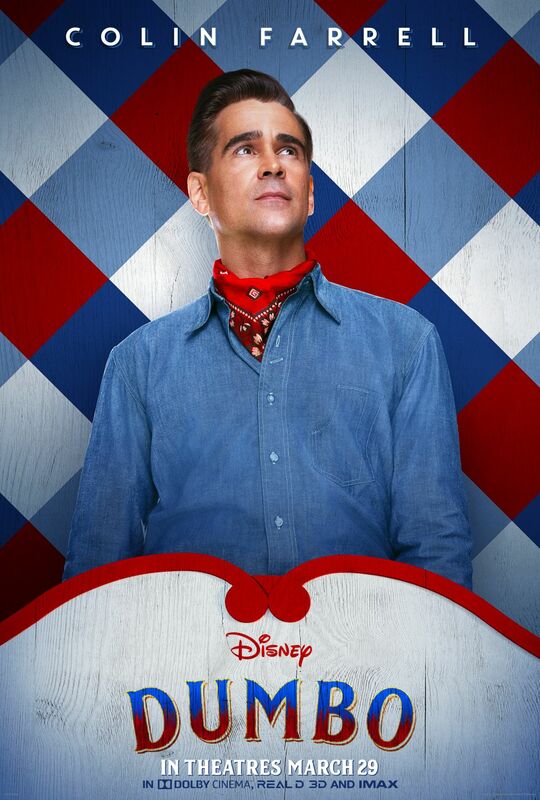 © 2018 Disney Enterprises, Inc. All Rights Reserved. 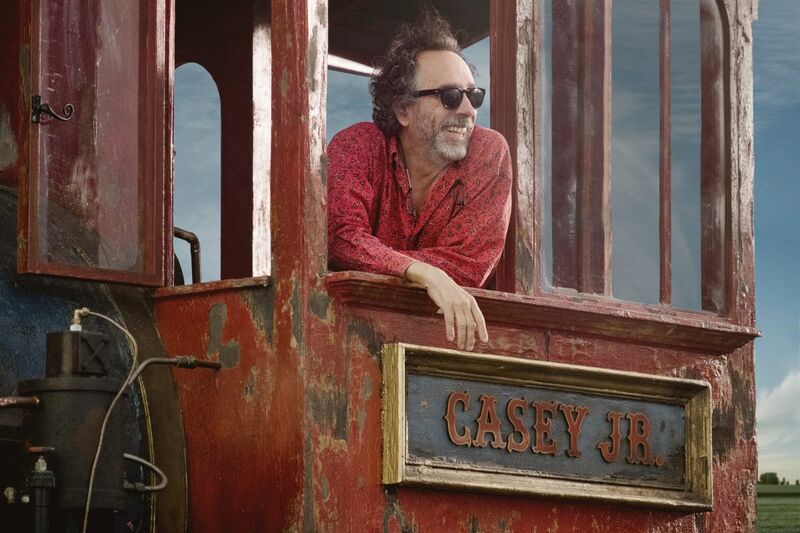 BUILDING DREAMS -- In Tim Burton’s all-new, live-action reimagining of “Dumbo,” persuasive entrepreneur V.A. 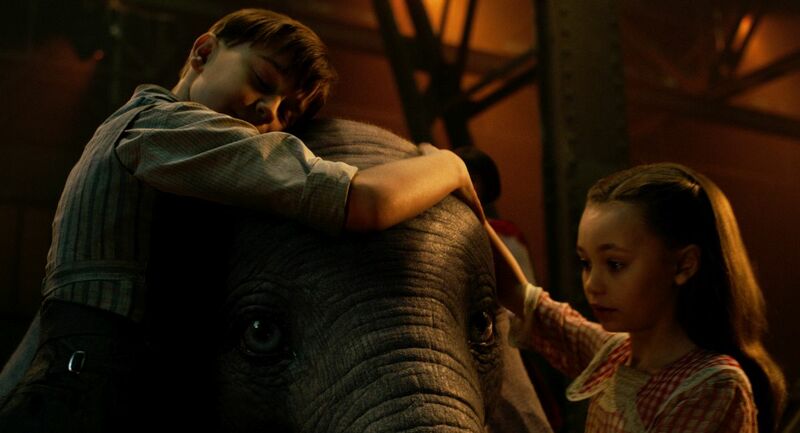 Vandevere (Michael Keaton) decides that a young elephant from a struggling circus belongs in his newest, larger-than-life entertainment venture, Dreamland, alongside charming and spectacular aerial artist Colette Marchant (Eva Green). 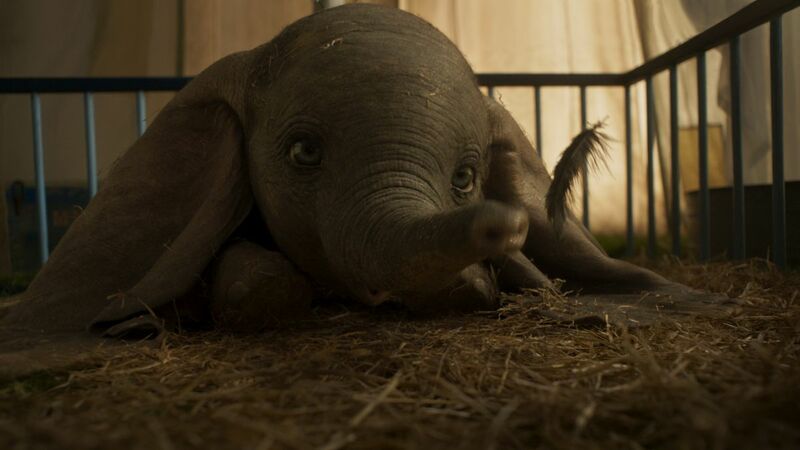 Directed by Burton and produced by Katterli Frauenfelder, Derek Frey, Ehren Kruger and Justin Springer, “Dumbo” flies into theaters on March 29, 2019. 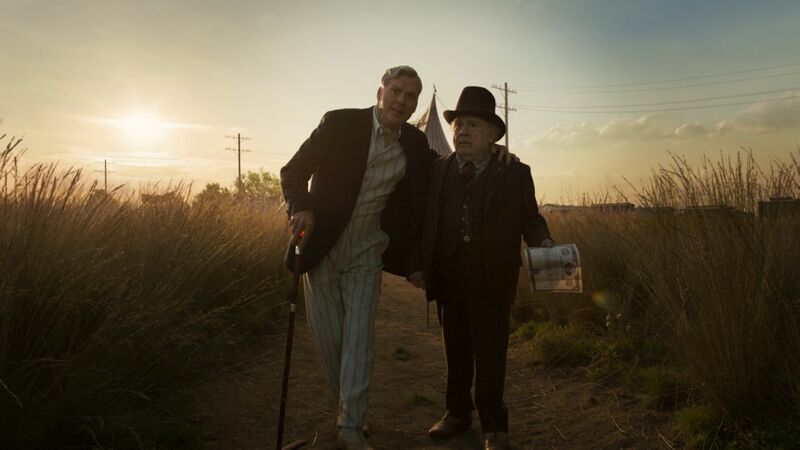 Photo by Jay Maidment. 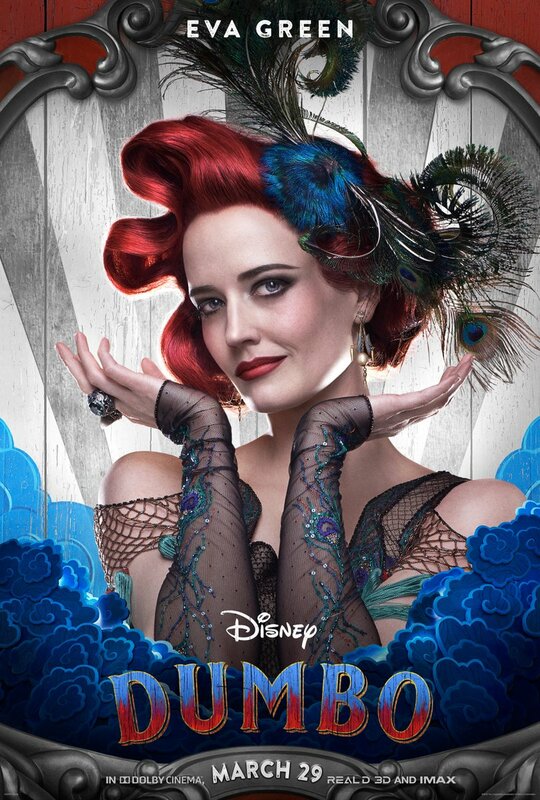 © 2018 Disney Enterprises, Inc. All Rights Reserved. 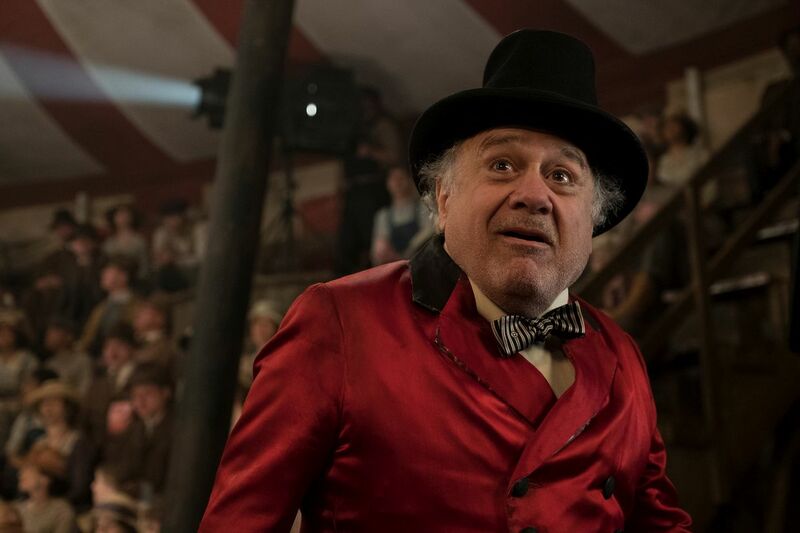 MEET MEDICI -- In Tim Burton’s all-new, live-action reimagining of “Dumbo,” struggling circus owner Max Medici (Danny DeVito) is disappointed to learn that a newborn elephant has enormous ears. 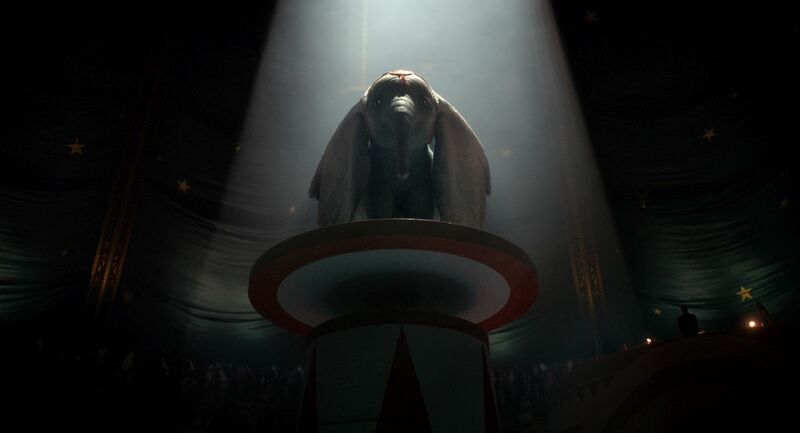 But when Medici realizes that the elephant can fly, the circus’ return to prosperity suddenly becomes a real possibility. 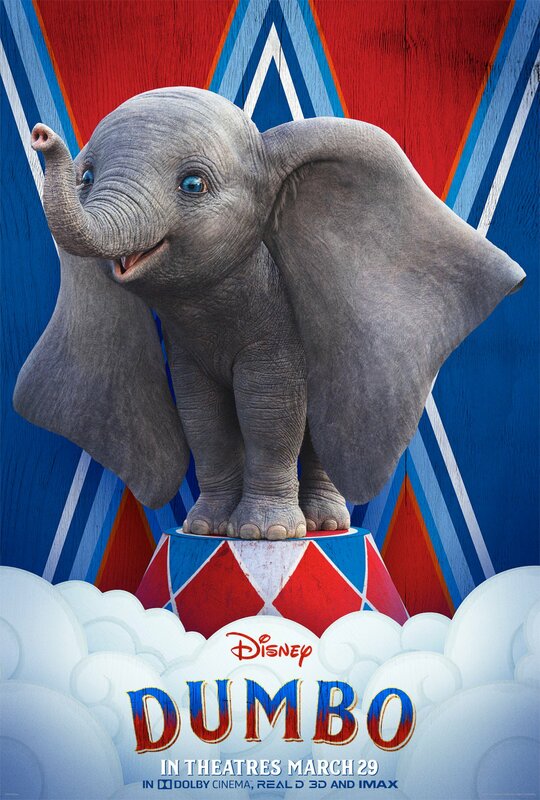 Directed by Burton and produced by Katterli Frauenfelder, Derek Frey, Ehren Kruger and Justin Springer, Disney’s all-new, live-action reimagining of “Dumbo” flies into theaters on March 29, 2019. 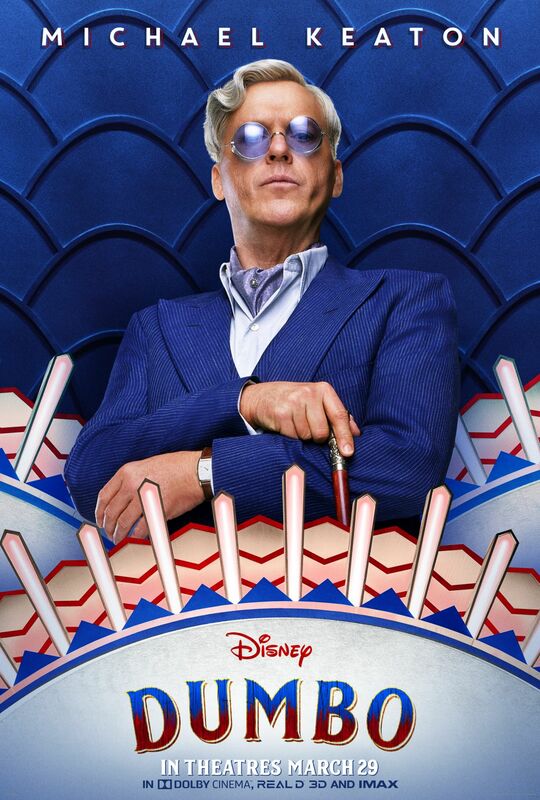 Photo by Jay Maidment © 2018 Disney Enterprises, Inc. All Rights Reserved. 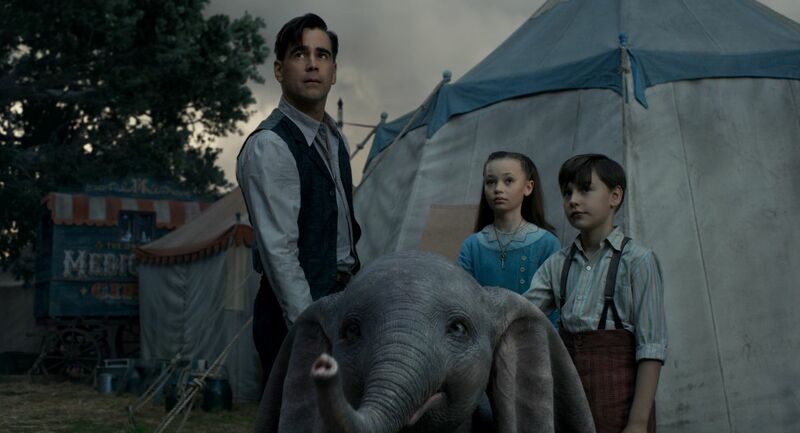 PERFORMING PAIR -- In Tim Burton’s all-new, live-action reimagining of “Dumbo,” former circus star Holt Farrier (Colin Farrell) is tapped to care for a newborn elephant with oversized ears. 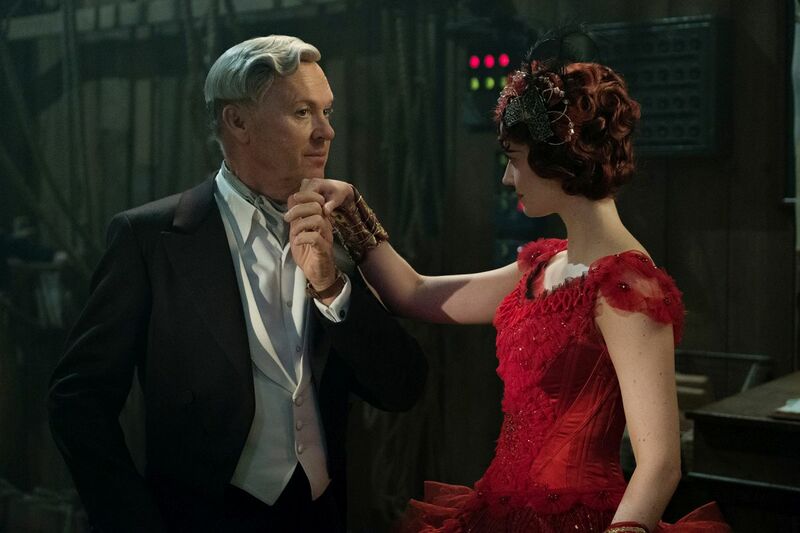 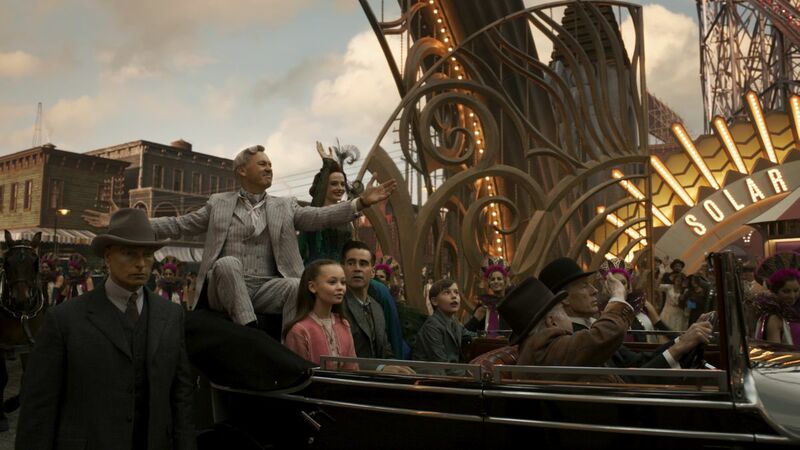 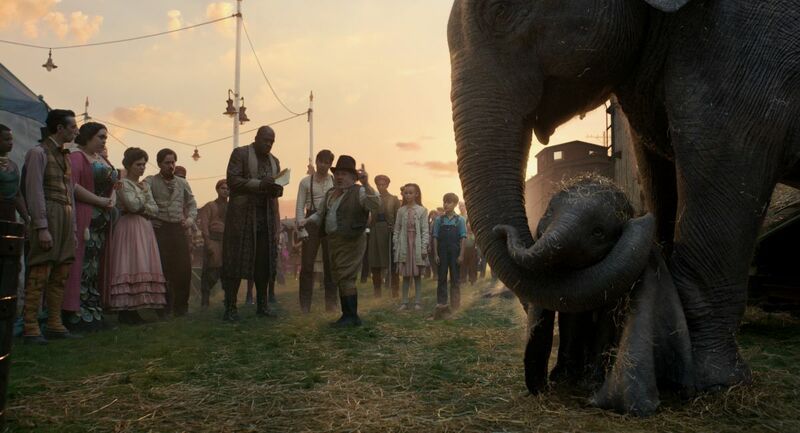 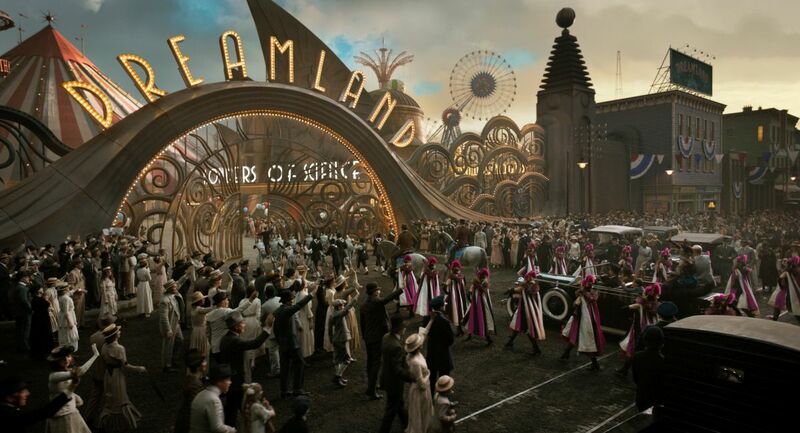 But when everyone learns that the elephant can fly, Holt finds himself—and Dumbo—in the middle of a new, larger-than-life entertainment venture, Dreamland, alongside charming and spectacular aerial artist Colette Marchant (Eva Green). 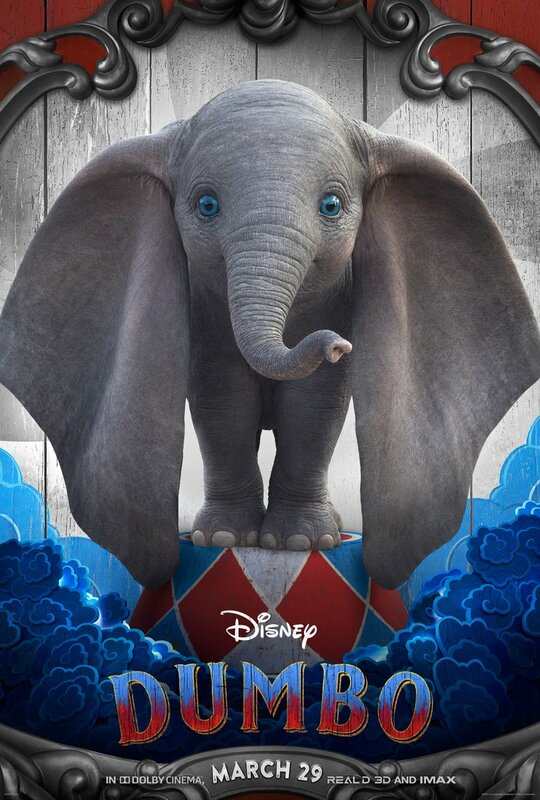 “Dumbo” flies into theaters on March 29, 2019. 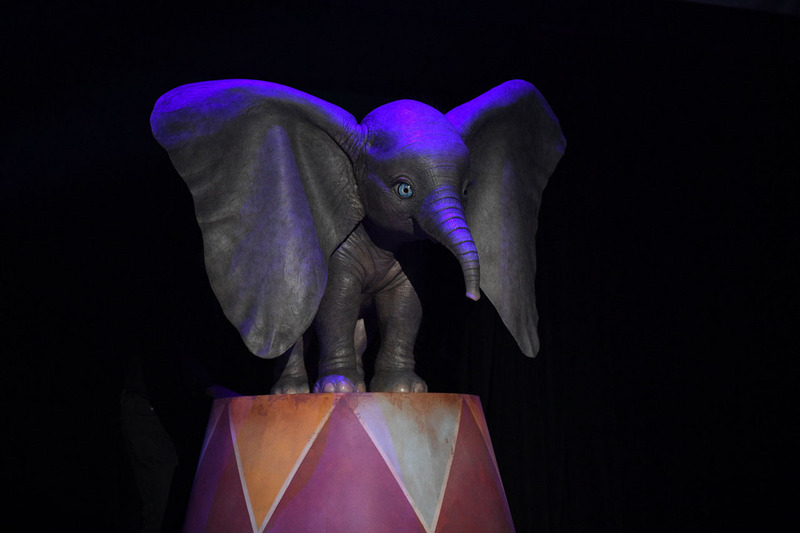 Photo by Jay Maidment. 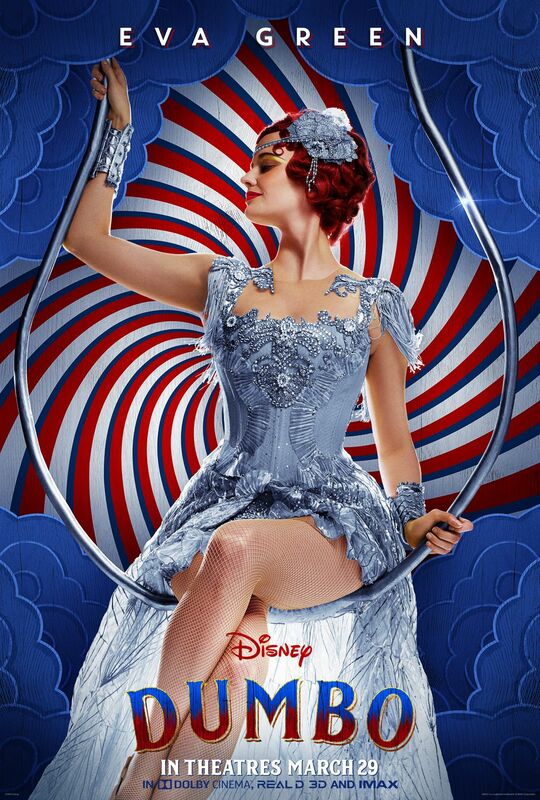 © 2018 Disney Enterprises, Inc. All Rights Reserved. 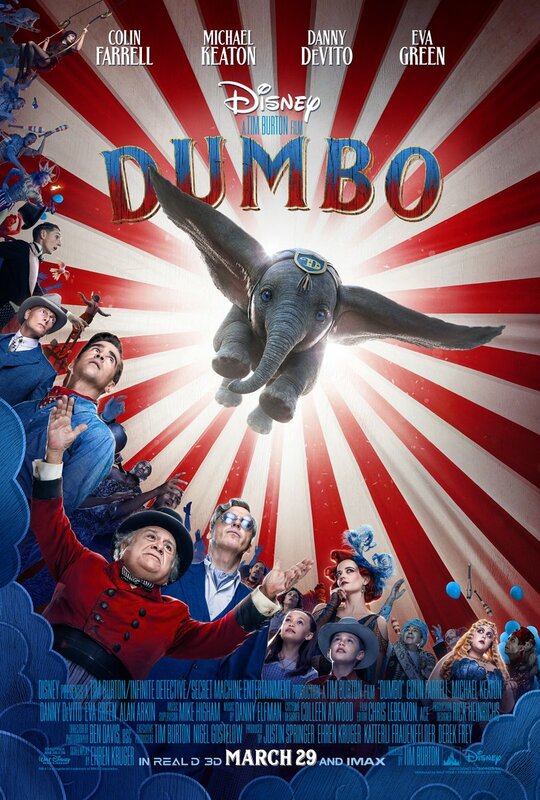 DREAMING BIG -- In Tim Burton’s all-new, live-action reimagining of “Dumbo,” persuasive entrepreneur V.A. 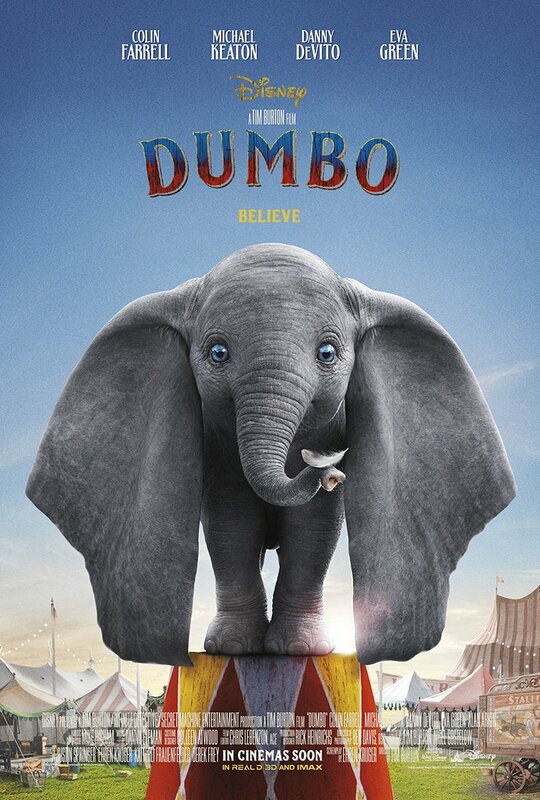 Vandevere (Michael Keaton) decides that a young elephant from a struggling circus belongs in his newest, larger-than-life entertainment venture, Dreamland. 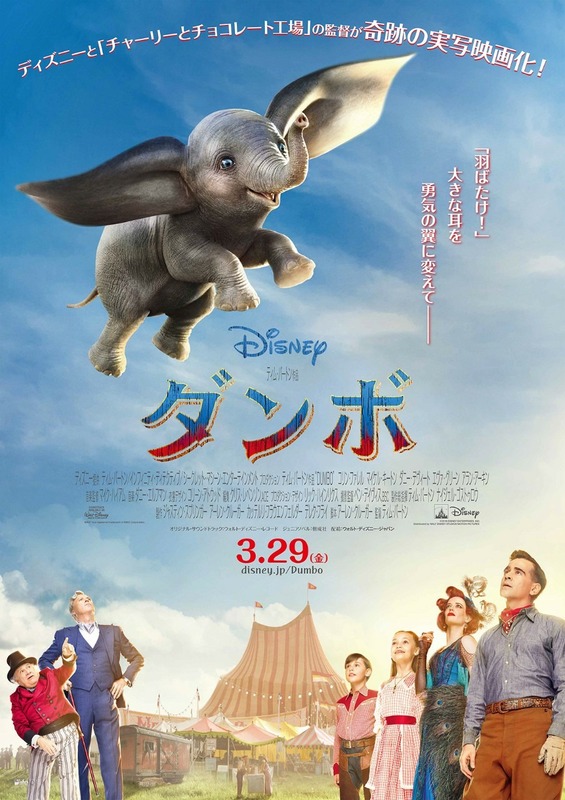 Directed by Burton and produced by Katterli Frauenfelder, Derek Frey, Ehren Kruger and Justin Springer, “Dumbo” flies into theaters on March 29, 2019. 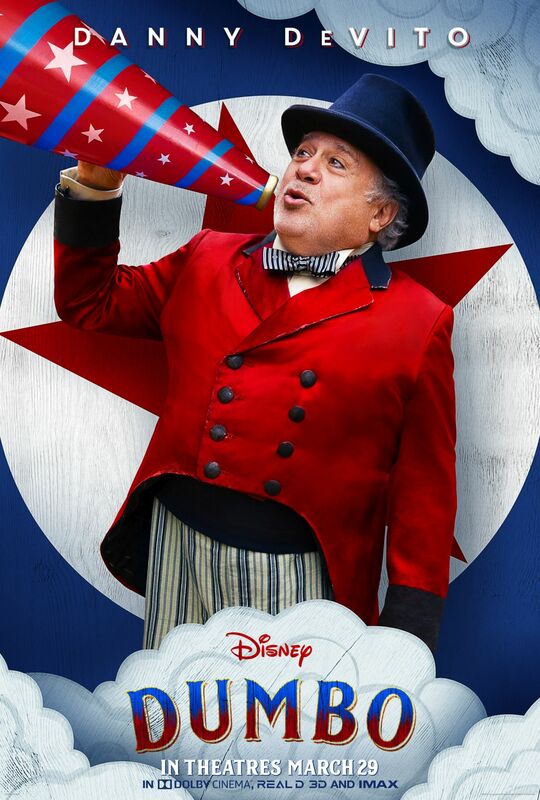 © 2018 Disney Enterprises, Inc. All Rights Reserved. 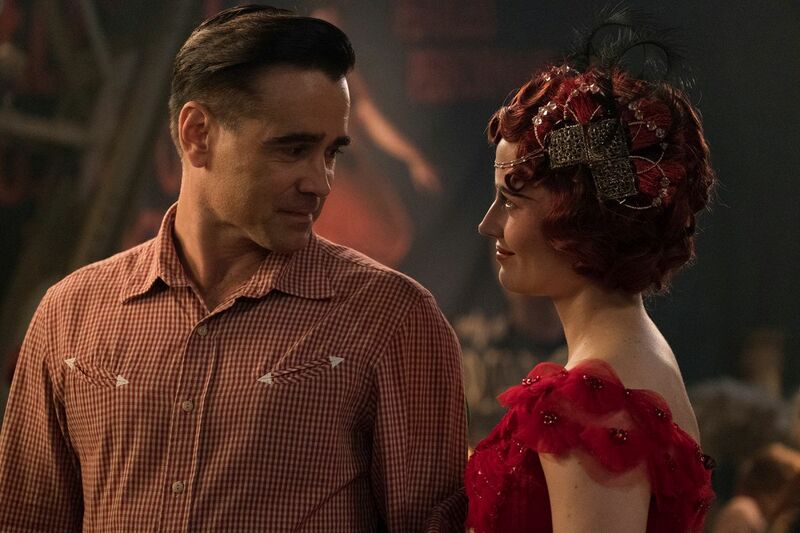 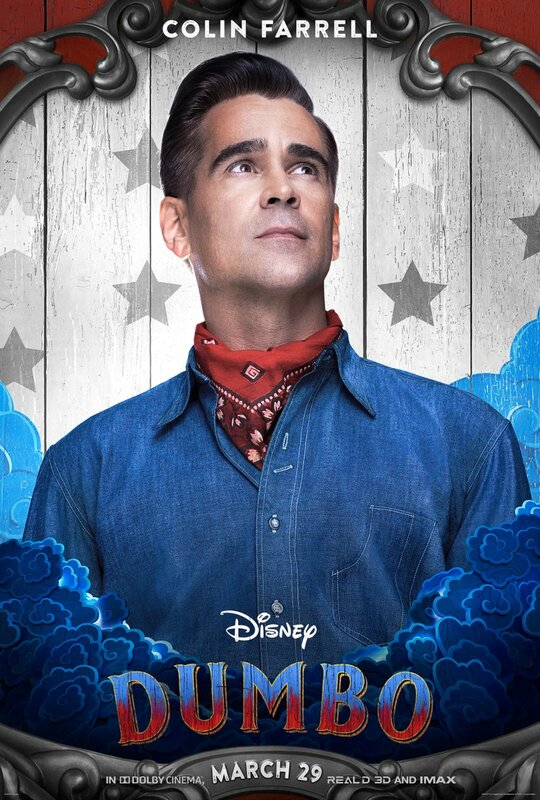 TRUE LOVE -- When former circus star Holt Farrier (Colin Farrell) is charged with taking care of a newborn elephant whose oversized ears make him a laughingstock in an already struggling circus, he’s surprised by just how quickly his children (Finley Hobbins and Nico Parker) fall for the peculiar pachyderm. 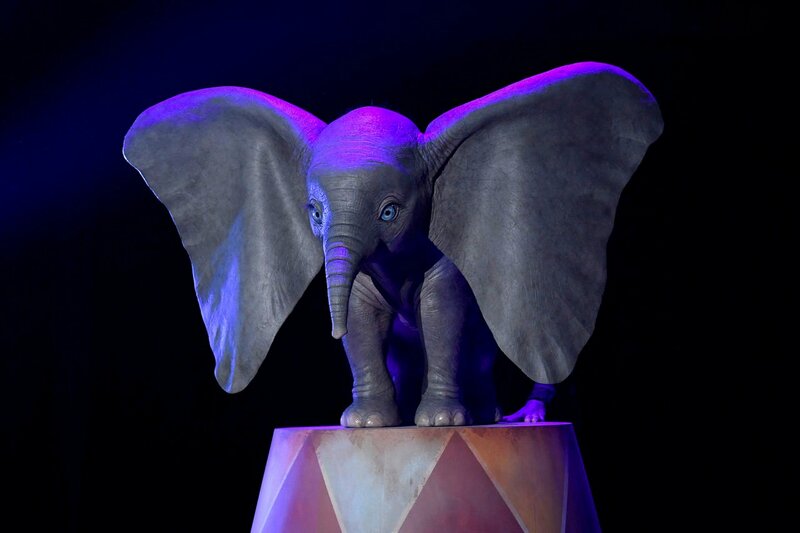 Directed by Tim Burton and produced by Katterli Frauenfelder, Derek Frey, Ehren Kruger and Justin Springer, Disney’s all-new, live-action reimagining of “Dumbo” flies into theaters on March 29, 2019. 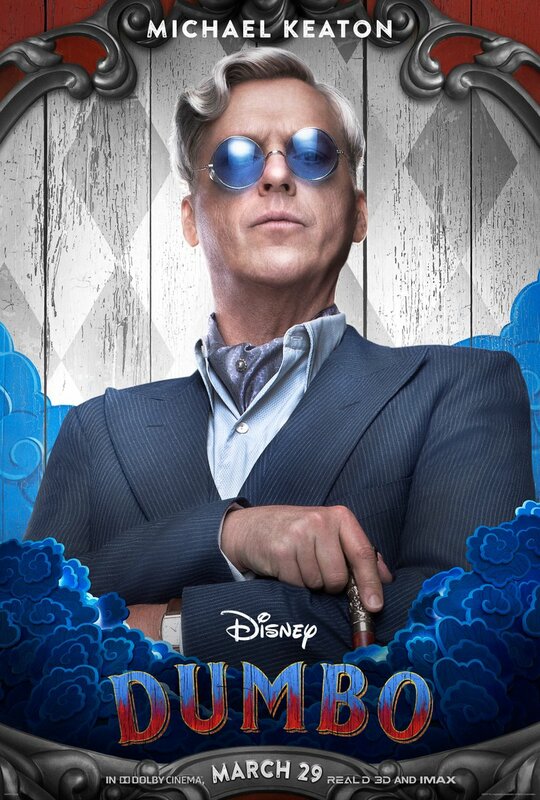 © 2018 Disney Enterprises, Inc. All Rights Reserved.